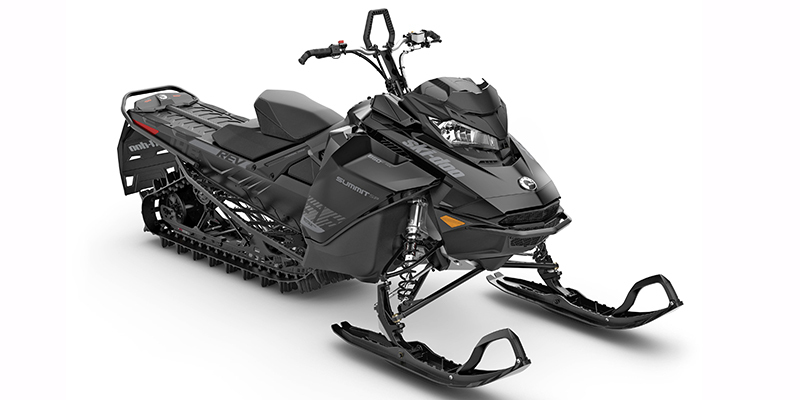 The Ski-Doo Summit SP 600R E-TEC is a mountain style snowmobile. Power is provided by a 2-Stroke, 599.4cc, Liquid cooled, Reed Valve, Horizontal In-line engine with Pull starter. The engine is paired with transmission and total fuel capacity is 9.5 gallons. The Summit SP 600R E-TEC comes standard with an One-Piece, 1-passenger seat.